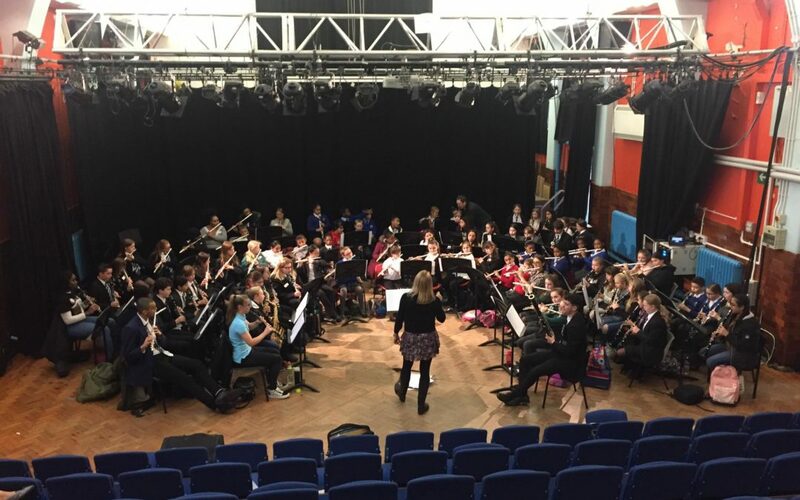 On 29th January we welcomed a fantastic 76 Woodwind players from Wolverhampton Primary and secondary schools, taught by Music Service staff to our Pop Goes Woodwind event. The players ranged from Grade 1 -4 and spent the day rehearsing and performing various contemporary pop classics including Thunder’ by Imagine Dragons, ‘Havana’ by Camila Cabello, ‘I Gotta Feeling ‘ by The Black Eyed Peas and ‘The Greatest Show’ from The Greatest Showman. It was a fantastic event and we thank everyone who took paret, parents and schools their for support, attendance and fabulous enthusiasm. All have been invited to join one of our ensembles which we run at no cost to parents. To see more details of our regular Music School ensembles click here. • compile anonymous visitor statistics on our website.